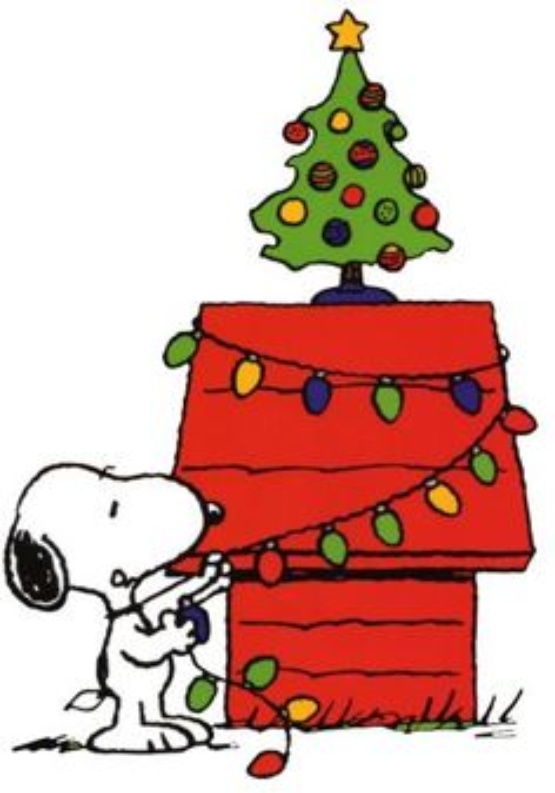 Today Christmas Crime Authors F-L. Be sure and check the previous Christmas Mysteries list, Authors A-E. I've updated it. Please let me know if I've forgotten an author or book. And more authors and titles to come. Be Merry! Fairstein, Linda A.: The Deadhouse; The Crime and the Crystal; A Small World of Murder. Farjeon, J.J.: Mystery in White. Farrow, John: City of Ice. Fennelly, Tony: Home Dead for Christmas. Ferrars, E.X. : Smoke Without Fire; The Small World of Murder; The Crime and the Crystal. Ferris, Monica: Crewel Yule; A Stitch in Time. Finch, Charles: The Fleet Street Murders. Finnis, Jane: A Bitter Chill. Fletcher, Jessica (Donald Bain): A Little Yuletide Murder; Manhattans and Murder. Flower, Amanda: A Plain Disappearance. Fluke, Joanne: Sugar Cookie Murder; Plum Pudding Murder; Candy Cane Murders; Gingerbread Cookie Murder; Christmas Caramel Murder; Christmas Cake Murder. Flynn, Brian: The Murders Near Mapleton. Foley, Rae: Hundreth Door; Where is Mary Bostwick?. Ford, Leslie: The Simple Way of Poison. Fowler, Earlene: The Saddlemaker's Wife. Fox, Sarah: Yeast of Eden. Fraser, Anthea: The Nine Bright Shiners; White Christmas with a Wobbly Knee; Snowballs and Scotch Mist; Christmas Mourning. Frazer, Margaret: The Servant's Tale; The Widow's Tale. Freeburn, Christina: Not a Creature Was Stirring. Freydont, Shelley: A Merry Little Murder; Silent Knife. Frommer, Sara Hoskinson: Witness in Bishop Hill. Frost, Jacqueline: Twelve Slays of Christmas; 'Twas the Knife Before Christmas. Fruttero, Carlo & Franco Lucentini: Enigma in Luogo di Mare. Furlong-Bolliger, S.: Christmas in Killarney. Furst, Clyde Bowman: The Observations of Professor Maturin. Fry, Patricia: A Picture-Purrfect Christmas. Gaarder, Jostein: The Christmas Mystery. Gagnon, Michelle: Kidnap and Ransom. Galenorn, Yasmine: Ghost of a Chance. Gano, John: Inspector Proby's Christmas. Garner, James Finn: Politically Correct Holiday Stories--For an Enlightened Yuletide Season (collection). Garnet, A. H.: The Santa Claus Killer. George, Anne: Murder on a Bad Hair Day. Gerber, Daryl Wood: Wreath between the Lines. Giroux, E. X.: Death for a Dietician. Goldenbaum, Sally: A Holiday Yarn; Trimmed with Murder. Goodhind, J.G. : The Ghost of Christmas Past. Goodman, Jonathan: Murder on the Aisle. Gordon, Alan: Thirteenth Night; The Moneylender of Toulouse. Gorman, Edward: Murder on the Aisle. Gouze, Roger: A Quiet Game of Bambu. Grabenstein, Chris: Hell for the Holidays; Slay Ride. Grace, C.L. : The Merchant of Death. Grace, Margaret: Mayhem in Miniature; Manhattan in Miniature. Grafton, Sue: E is for Evidence. Graham, Heather: The Last Noel; A Season of Miracles. Granger, Ann: A Season for Murder; Dead in the Water. Graves, Sarah: Wreck the Halls. Greeley, Andrew: The Bishop and the Three Kings. Greenwood, Kerry: Murder in the Dark; Forbidden Fruit. Gregory, Susanna: A Conspiracy of Violence. Griffey, Jackie: The Nelson Scandal. Griffiths, Elly. Smoke and Mirrors. Grimes, Martha: Jerusalem Inn; The Old Fox Deceived; The Man with a Load of Mischief. Guest, Judith: Killing Time in St. Cloud. Gunn, Victor: Death on Shivering Sand. Haddam, Jane: Not a Creature Was Stirring; A Stillness in Bethlehem. Hager, Jean: The Last Noel. Hall, Parnell: A Puzzle in a Pear Tree. Hall, Robert Lee: Benjamin Franklin and a Case of Christmas Murder. Halliday, Gemma: Christmas in High Heels. Hallinan, Timothy: Fields Where They Lay. Hamilton, Victoria: White Colander Crime. Hammett, Dashiell: The Thin Man. Handler, David: The Snow White Christmas Cookie. Hardwick, Richard: The Season to be Deadly. Hare, Cyril: An English Murder. Harmon, Ken: The Fat Man--A Tale of North Pole Noir. Harper, Karen: The Queene's Christmas. Harris, Lee: The Christmas Night Murder. Harrison, Janis: Murder Sets Seed. Hart, Carolyn: Sugarplum Dead; Merry, Merry Ghost. Hart, Ellen: Vital Lies; Murder in the Air. Hart, Roy: Seascape with Dead Figures. Haven, Heather: The CEO Came DOA; Iced Diamond. Hay, Mavis Doriel: The Santa Klaus Murder. Heald, Tim: Classic Christmas Crime. Hechtman, Betty: You Better Knot Die. Hellmann, Libby: Set the Night on Fire. Hemlin, Tim: A Catered Christmas. Hess, Joan: A Holly, Jolly Murder; O Little Town of Maggody. Heyer, Georgette: Envious Casca; A Christmas Party. Hill, Reginald: Death's Jest Book; A Clubbable Woman. Hilton, John Buxton: Death in Midwinter. Hinkemeyer, Michael: A Time to Reap. Hochgatterer, Paulus: The Sweetness of Life. Hodgkin, Marion Rous: Dead Indeed. Holland, Isabelle: A Fatal Advent. Holmes, Dee. The Unexpected Gift. Honigford, Cheryl: Homicide for the Holidays. Howell, Dorothy: Slay Bells and Satchels. Howie, Edith: Murder for Christmas. Howlett, John: The Christmas Spy. Hughes, Cledwyn: The Inn Closes for Christmas; The Different Drummer. Hughes, Mary Ellen: Wreath of Deception. Hume, Fergus: The Coin of Edward VII. Hunter, Ellen Elizabeth: Murder on the Candlelight Tour; Christmas Wedding. Hunter, Fred: Ransom for a Holiday; 'Tis the Season for Murder; Homicide for the Holidays. Husom, Christine: The Iced Princess. Hyzy, Julie: Hail to the Chef. Iams, Jack: Do Not Murder Before Christmas. Innes, Michael: A Comedy of Terrors; Christmas at Candleshoe. Ivie, Judith: Drowning in Christmas. Jackson, Melanie: Murder on Parade; Requiem at Christmas. Jaffe, Jody: Chestnut Mare, Beware. Jahn, Cathie: Add One Dead Critic. Jahn, Michael: Murder on Fifth Avenue. James, Miranda: Six Cats a Slayin'. James, P. D.: The Mistletoe Murder and Other Stories (collection). Jarvis, Nancy Lynn: Buying Murder. Jeffers, H. Paul: Murder on Mike. John, Cathie: Add One Dead Critic. 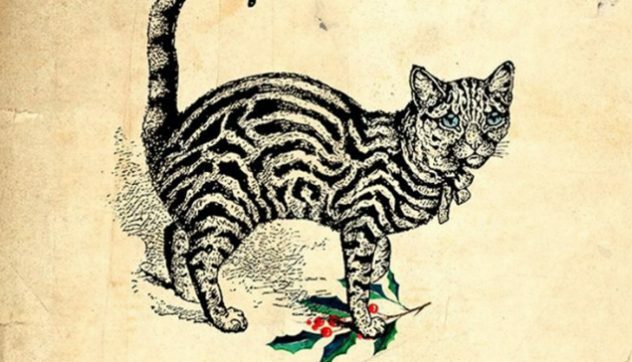 Johns, Madison: The Great Christmas Caper; Meows, Magic & Elves. Johnson, Craig: Death Without Company; Christmas in Absaroka; Spirit of Steamboat. Jordan, Cathleen: A Carol in the Dark. Jordan, Jennifer: Murder Under the Mistletoe. Kales, Jenny: Spiced and Iced. Kane, Henry: A Corpse for Christmas (aka Homicide at Yuletide). Kaplan, Arthur: A Killing for Charity. Kappes, Tonya: Freshly Ground Murder, Tangled Up in Tinsel; Christmas, Criminals, and Campers. Katz, Fred: Not a Creature Was Stirring. Kaufman, Karin: The Witch Tree. Kavanaugh, Brian: A Canterbury Crime. Kaye, M. M.: Death in the Andamans. Kellerman, Faye: Sacred and Profane. Kelley, Lee Charles: 'Twas the Bite Before Christmas. Kelly, Mary: The Christmas Egg. Kelly, Sofie: A Midwinter's Tail. Kelner, Toni L.P.: Mad as the Dickens. King, John: The Big Mouth. 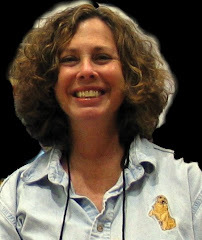 King, Laurie R.: A Monstrous Regiment of Women. Kingsbury, Kate: No Clue at the Inn; Ringing in Murder; Shrouds of Holly; Slay Bells; Decked with Folly; Mistletoe and Mayhem; Herald of Death; The Clue is in the Pudding; Mulled Murder. Kitchin, C.H.B. : Crime at Christmas. Kleinholz, Lisa: Exiles on Main Street. Knight, Alanna: The Dagger in the Crown. Knight, Kathleen Moore: They're Going to Kill Me. Koch, Edward I.: Murder on 34th Street. Koontz, Dean R.: Mister Murder; Santa's Twin; Robot Santa. Lake, M.D. : A Gift for Murder; Grave Choices. Landreth, Marsha: The Holiday Murders. Lane, Vicki: In a Dark Season. Langston, Josh & Barbara Galler-Smith: Christmas Beyond the Box. Langton, Jane: The Shortest Day--Murder at the Revels; The Memorial Hall Murder. Lanyon, Josh: So This is Christmas. Lanyon, Josh & Sarah Black: I'll be Dead for Christmas. Lathen, Emma: Banking on Death. Lavene, Joyce and Jim: Treacherous Toys. Lawley, Cate: Makin' a List. Lawrence, Alfred: A Christmas Killing. Lawrence, Hilda: Blood Upon the Snow. Lawrence, Treat: Q As in Quicksand. Leach, Christopher: A Killing Frost. Lee, Amanda: Better Off Thread. Lee, Ashton: A Cherry Cola Christmas. Leon, Donna: Blood from a Stone. Levine, Joan & Gail Owens: The Santa Claus Mystery. Levine, Laura: Death of a Neighborhood Scrooge. Lewin, Michael Z.: The Enemies Within. Lin, Harper: Fur-Miliar Felines; Killer Christmas. Little, Constance: The Black-Headed Pins. Loan-Wilsey, Anna: Anything But Civil. Locke, M. Louisa: Kathleen Catches a Killer. Locke, William J.: A Christmas Mystery. London, Collette: The Peppermint Mocha Murder. Lord, Christopher: The Christmas Carol Murders. Ludwig, Ken: The Game's Afoot OR Holmes for the Holidays. Holy smoke! What a lot of work you've gone to!